How to Learn a Programming Language? 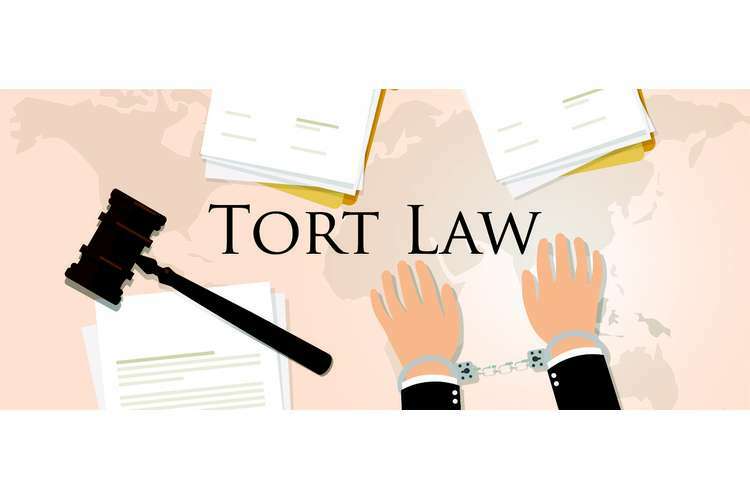 This report provides details regarding the principles of negligence and the scenario of the tort. In this report, the case scenario of Brandon and Hoof Hearted Adventures Ltd. is provided to current development an effective understanding of the principles of negligence. Question1. Outline the legal principles involved in this case. The legal principles which are involved in this case help in the complete analysis of the case. It covers the details regarding whether the claim made was committed by the Hoof Hearted Adventures or not. It is also involved that whether the acts of Hoof Hearted Adventures has waived the liability for the acts of the negligence when the agreement was signed by the Brandon. This also covers the acts of contributory negligence which was held when the guidance related to the check of the equipment are not followed by Brandon. Question 2 Discuss the essential elements of a negligence action in relation to Brandon’s case. 1. The duty of care: It is considered to be one of the important elements of the negligence. It provides that the defendant should owe the duty of care to Plaintiff. In the given tort scenario the horse riding facilities which was provided by the Hoof Heated Adventures serves the responsibility to owe the duty of care. The similar decisions were provided in the case of Donoghue v. 2. Stevenson. Hence as per this, the rider owes the duty. Hence, in this case, there is a breach by the organisation and Brandon has suffered from injuries (Durbin, 2017). 3. Standard of care: This principle was not followed by the company while providing the equipment which was not even checked and the saddles gave are also broken. 4. Damage: Herein, in this case, Brandon got injured. His left leg and wrist both are highly injured which affects his health. The employment was also lost and the doctor told that he no longer be able to compete for the golf. The mental pressure was also suffered by the party by knowing his part of non-competence. 5. Causation: It is analysed that Brandon suffers from injury on the part of the company’s negligence (Thomson Reuters, 2016). This also results in the financial losses. This holds the company liable for the claim of the negligence. The company has the defence that Brandon himself signed the waiver clause and therefore now he cannot state the defence that he did not read the waiver clause. The riding equipment that was given to him must also have been checked before putting on them by him. However, he himself was negligent in examining the equipment which makes him also equally liable for the contributory negligence. Notice of warning about the checking of the equipment was also displayed everywhere near the riding area so as to prevent the maximum cases of negligence (Thomas, et. al., 2010). Question4. Discuss and categorize the kinds of damages that Brandon could claim. Brandon was the plaintiff in the given case study who got several injuries when he availed the horse riding services from Hoof Hearted Ventures. One of the defence as raised above by the company that he signed the waiver agreement himself before making the decision of buying the services does not give license to the company to make the negligence in its services. The waiver agreement was signed by him in hurry without reading the clause. The cause of the injury which were sustained by him was defective and unfit equipment that was supplied to him. It was the duty of the employee relation who had the task providing equipment to riders after examining them. But the same was breached and effective equipment was supplied and therefore Brandon is entitled to make the compensation for injuries. He can also claim the expenses that occurred in the medical treatment and the litigation process for recovery of the amount to which he was entitled. He is also eligible to make the claim for the loss of earning that happened to him because of the medical treatment to which he was going through for recovery. Hence Brandon is entitled to make the compensation demand legally as per the applicable rules and laws on the consequences of negligence (Robertson & Thomson, 2014). Question5. Identify five important witnesses or pieces of evidence, and explain how each is relevant. The ground of riding was rocky and unfit for riding and even with the knowledge of this fact riding activities were continued to be carried out there. The saddle and equipment given to Brandon were not fit and they were defective as after the accident it was discovered that the equipment was taken out of the boxes in which defective equipment was kept. The employees himself admitted his liability that he was negligent in selecting the right equipment. The waiver clause was given prior to riding was unreasonable as no legal remedy can be barred by express terms of contract (Shavell, 2014). It is concluded that one who undertakes the responsibility must carry it out with full care and skilfully. The efforts must always be there on avoiding the negligence. When negligence arises then the same must be admitted and the person who suffered injury and loss must be provided adequate remedy for that. In the given case Bardon was entitled to make compensation demand for his suffering under the applicable common law principles of negligence. Denial of the Adventure Company to make the same cannot be stated as legal. 3. Thomas, E. J., Studdert, D. M., Burstin, H. R., Orav, E. J., Zeena, T., Williams, E. J., ...& Brennan, T. A. (2010). Incidence and types of adverse events and negligent care in Utah and Colorado. Medical care, 38(3), 261-271. 4. Robertson, J. H., & Thomson, A. M. (2014). A phenomenological study of the effects of clinical leadership negligence litigation on midwives in England: the personal perspective. Midwifery, 30(3), e121-e130. 5. Shavell,S. (2014). "Strict Liability versus Negligence," The Journal of Legal Studies 9. OZ Assignment Help provides assignments, essays and dissertations writing for guidance and reference purpose only. None of the product is to be submitted directly as the final work. Company will not take any responsibility of any type of academic misconduct done by individual.